You asked for it. ReviewBuzz SMS is here. And it’s awesome. In this day and age, everyone is glued to their phones. And while you may want to scream at your kids for texting at the dinner table, you want to take advantage of how texting can help you get more reviews and grow your business. We’ve heard from you how important it is to provide your customers with the easiest way to leave a review, and we know that you’ve been craving a smart SMS review solution. So, we designed ReviewBuzz SMS. ReviewBuzz SMS is instant, customizable, and driven by the connection between your team and your customers. ReviewBuzz SMS is flexible and lets you control where and how review requests are sent. 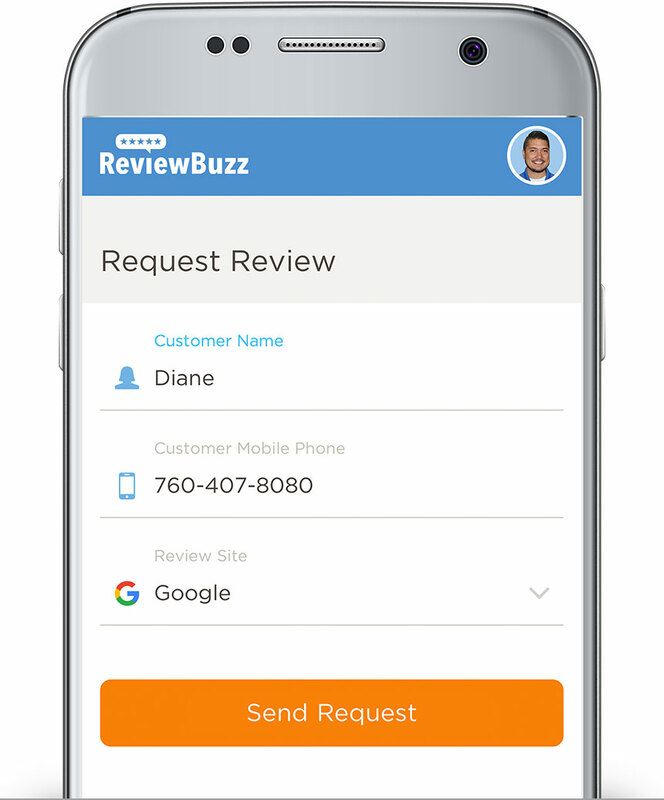 Win reviews instantly with ReviewBuzz SMS in the field. Our mobile SMS dashboard makes it easy for your team to text a review request immediately after the service from their mobile device. Need to up your Google Game? No problem. When your team members send out SMS review requests from the field, they can choose to send your customer to a specific review site, such as Google, Facebook, or BBB, giving you the ultimate control of your online reputation. Get reviews easily with ReviewBuzz SMS from the office. If your team members don’t send out an instant review request after the service, your office staff can still send an SMS review request from the office using the ReviewBuzz Dashboard. Worried that you may have taken down the wrong number from your customer? Our state-of-the art review capturing system automatically detects if a phone number is valid. If it’s not, we’ll send them a request via email, so you don’t miss out on any reviews. With ReviewBuzz SMS, you have the power to connect with more of your customers to get more reviews. Did you know text messages have an open rate of 90% versus just 20% for emails*? That’s a powerful difference that can lead to an enormous increase in the number of glowing reviews for your company on sites like Google, Facebook, the BBB and more. Even better? You’re going to see reviews coming in faster than ever before. We know that the longer someone waits to leave a review, the less likely they are to do it. 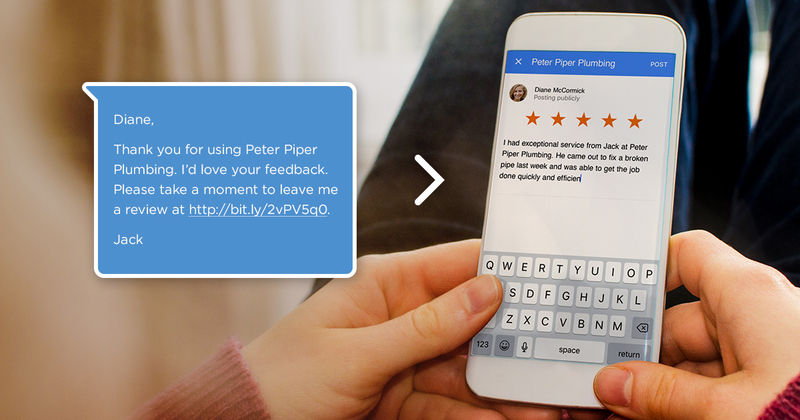 Giving your customer an easier, faster, more convenient way to leave you a review will bring more reviews which leads to more ROI on marketing, improved customer service, increased customer satisfaction, and improved team engagement. Don’t have ReviewBuzz yet? Try it for free and see what all the fuss is about.